Service Bond: Selected candidates who belong to General and OBC have to execute a Service Bond of Rs, 2,50,000 (Plus GST). 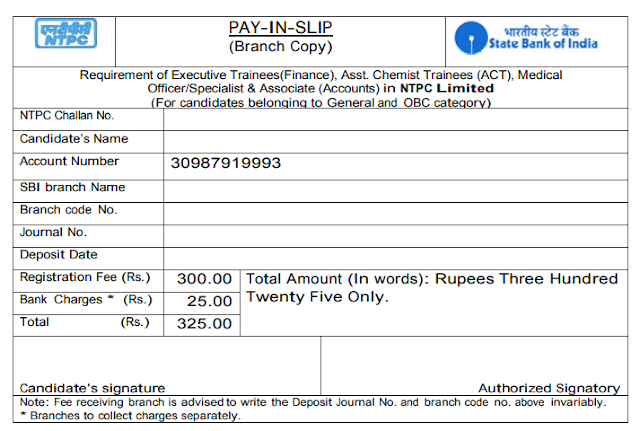 Rs 1,25,000 (plus GST) for SC / ST / PWD Candidates to serve the company for at least 3 years after the successful completion of one year training. Qualification: MBBS from recognized Universities or Institution. Candidates have to undergo a Medical Examination by the NTPC Medical Board. 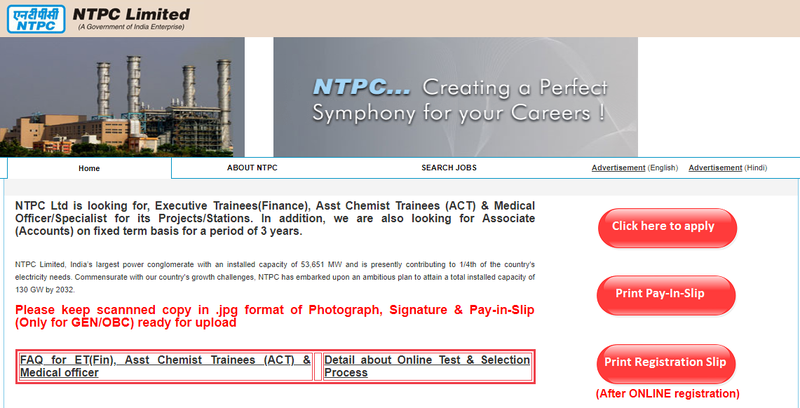 How to Apply Online for Executive Trainees (Finance), Assistant Chemist Trainees (ACT) & Medical Officer / Specialist, Associate (Accounts) Posts in NTPC? Fill the Online Application Form and Click on Check Eligibility. 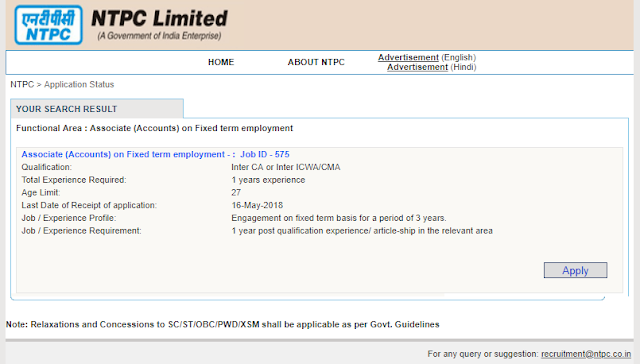 Make payment of Registration Fee only if you are Eligible for the Post Vacant. Scan and Keep Passport Size Photo, Signature and Pay in Slip (For General and OBC) for Upload when required. 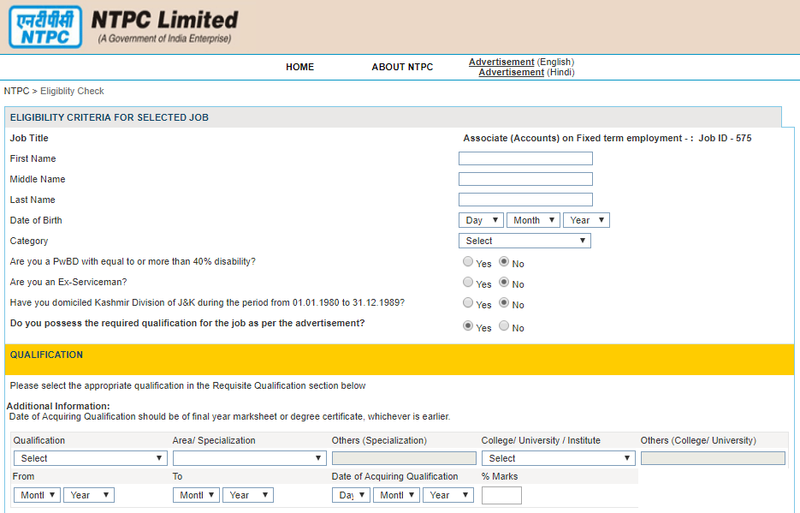 Candidates belongs to General and OBC need to Pay the Registration Fees of Rs. 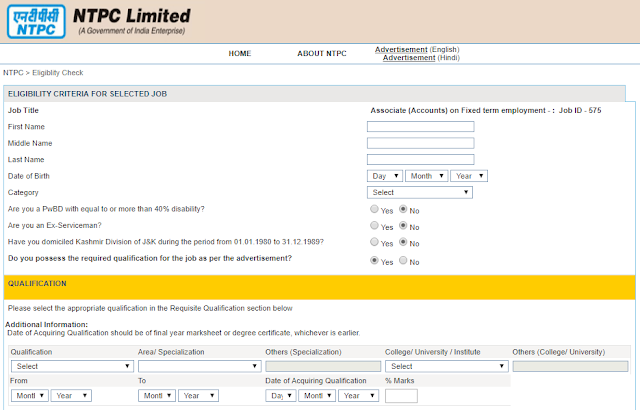 300 and there is no Fees for SC / ST / PWD candidates. Candidate need to click on Print Pay in Slip from the website http://open.ntpccareers.net/ and Enter your Name and Print out the Pay in Slip and Make Payment in the SBI Bank Branch and Scan and Upload the Pay in Slip in the Application Form when requested. After applying Online. 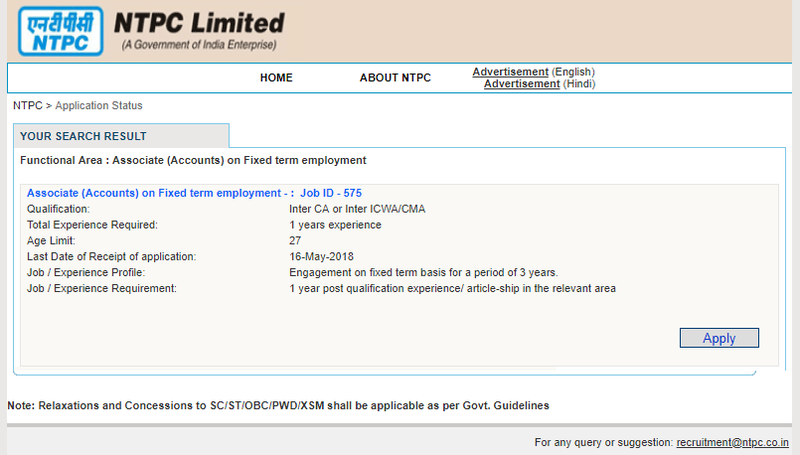 Candidate have to Visit the website and click on Print Registration Slip. 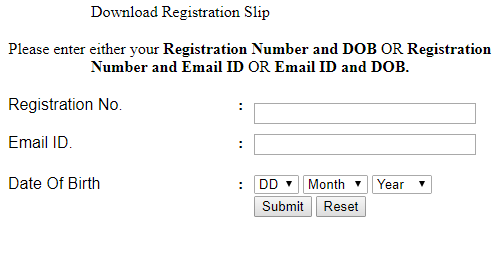 Fill the details and click on Submit and Take a print out of the Registration Slip. No need to send anything through Post. Read the Notification clearly and click on check eligibility while filling the form as the Registration Fees once paid will not be refunded.